The 6 of us who attended Unicon 17 will remember the trip for years to come. Beyond amazing is an apt description of the experience. If you want to see some of the pics, go here. If you want first hand accounts, just ask Connor, Danielle, Dave, Isaac, Lisa, or Steve. We'll be glad to tell you as few or as many stories as you want. 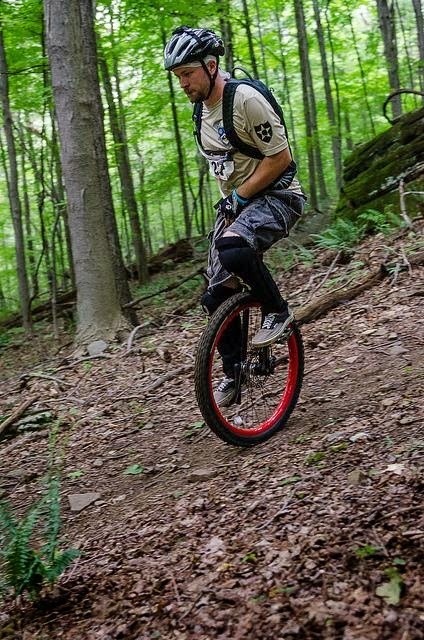 If you just found out about the Butler Wobble, you may not know we hosted the North American Unicycling Convention and Championships (NAUCC) in 2013. 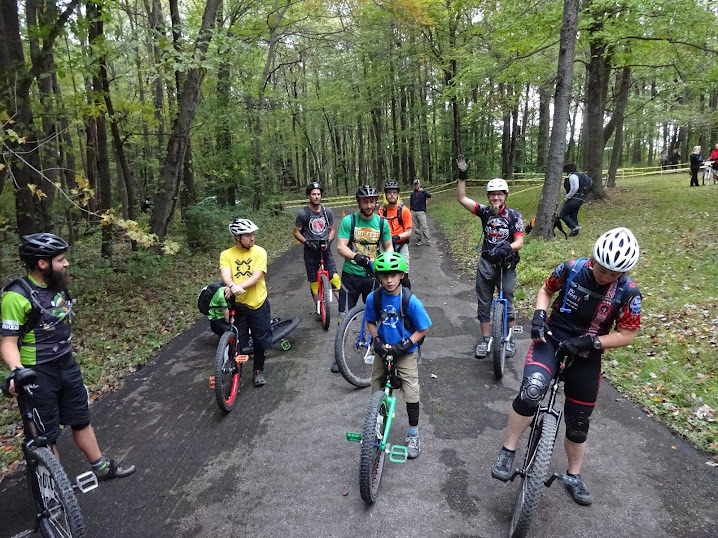 A big reason we did was to encourage people to experience a unicycling convention. We had around 300 people participate. Among those were Benoit and Hugo, the two primary organizers of Unicon 17. Long before we met them in person we could tell that Unicon was going to be phenomenal. After getting to know them between the start of NAUCC 2013 and the end of Unicon 17 we found them not only to be tremendous organizers, but fantastic people as well. At Unicon we not only competed, traded T-shirts, made new friends, and had way more than our share of poutine, we also left the Butler Wobble mark. We got disc golf discs with our logo on them to a few friends from around the world and got Butler Wobble buttons onto 5 of the 7 continents in the world (we're still missing Africa and Antarctica). 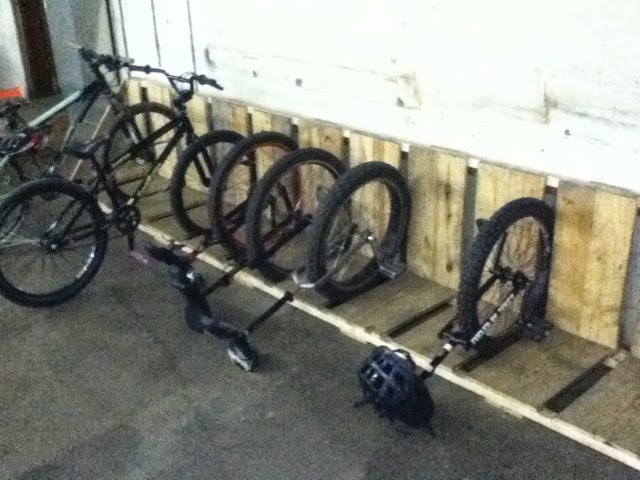 We also brought Unicycle Cyclocross to the party. We didn't invent cyclocross. It's been in the biking world for quite a long time. We probably weren't the first to have unicycles in a cyclocross race either (I've heard it's a big part of keeping Portland weird). 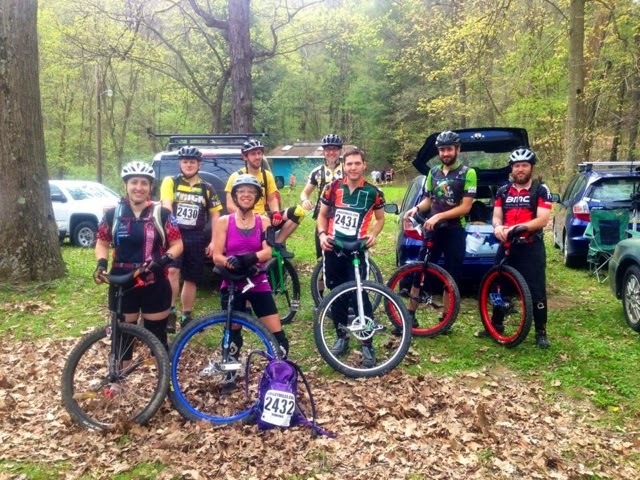 What we did do is take our experience from helping with the local Month of Mud series and debuted Unicycle CX at a major unicycle convention with NAUCC 2013. (Thanks Matt Tinkey!) It went over so well, we did it again at NAUCC 2014. And that was just one of about 30 events. On the competitions side, world records were broken in the 10k and Marathon (yep, 26.2 miles in 1:19:07), as well as the High Jump (137cm or 53.9in). The beauty of Unicon though is that while records were being broken, many people were racing for personal bests (or firsts, as in Gigi's first Marathon) and having fun doing it. Competitions were great, but the convention aspect was at least as equally as awesome. Old friends were seen again. International friendships were made. Everybody got enough High 5s to have sore hands by the end of the 2 weeks. Unicycling is full of fantatstic people. When 1100+ of them get together, it's bound to be an amazing experience. 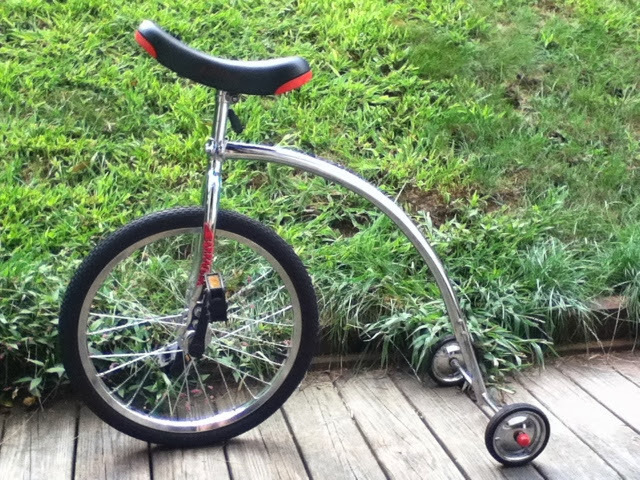 Short story- if you've never checked out a major unicycling convention, you need to. Mark your calendar now for NAUCC 2015.